Appearances can be deceiving or so the expression goes, but are they really deceiving when it comes to what your posture? Or is the truth on full display when it comes to your abdomens appearance, both from the inside as well as underneath your clothes!? If you do see a little or a lot of yourself in any of the pictures, maybe a colonic massage could be just the ticket to keeping your mid-section both looking and feeling healthy! 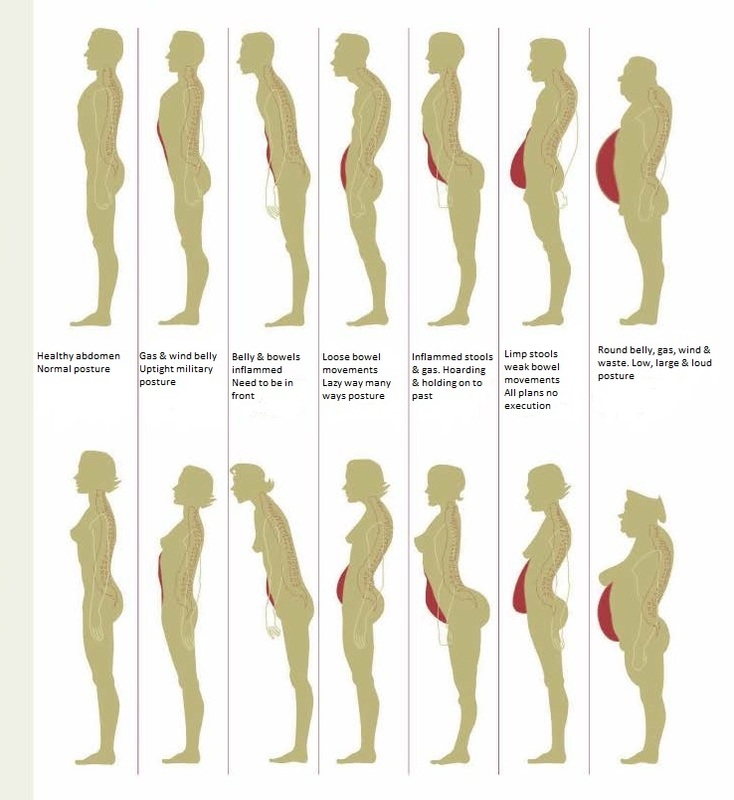 Having a bloated or distended abdomen might be the result of your posture and not your diet or exercise programme. Give me call and have a chat about how an Abdominal / Colonic Massage could help you. Weight loss massage or Colonic massage as its also known is something many people have never before considered. Listen to a few of the clients own experience and how they felt after the belly’s were given a thorough make over using just a pair of hands.